Finding himself ‘still very deficient in the article of Tin oras, and the minerals usually attending it’, he had remembered Borlase’s previous kindness. A gentleman who had recently leased one of the Downing-owned collieries from Pennant’s father was running ships from there to Plymouth: ‘if we engage in a sort of mineral commerce’, he wrote, offering treasures from Flintshire by return, ‘we have a ready means of conveyance’. A list of wished-for specimens is—optimistically—appended. Borlase agreed, and the two men began a correspondence which would extend over two decades, and take them from the discussion and exchange of ores and minerals to ‘Druid stones’ and other antiquities, marine plants and creatures, and sea-birds. 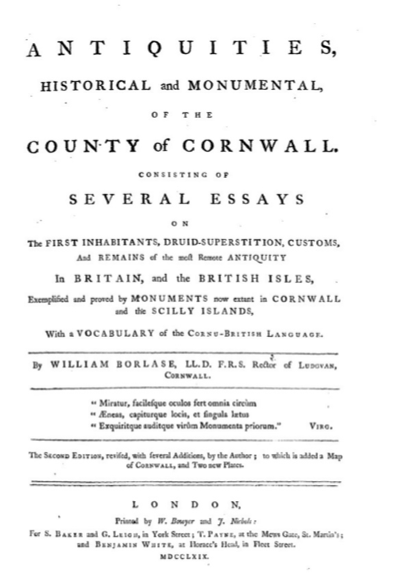 The letters Pennant wrote to his Cornish mentor were preserved in Borlase’s letter-book, now held in the Morrab Library in Penzance. 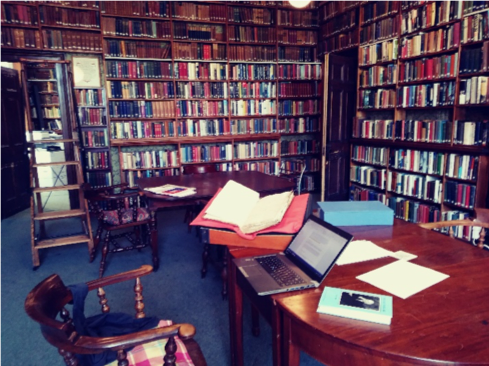 This small, independent subscription library celebrates its bicentenary this year: it must surely be one of the loveliest archives to work in. 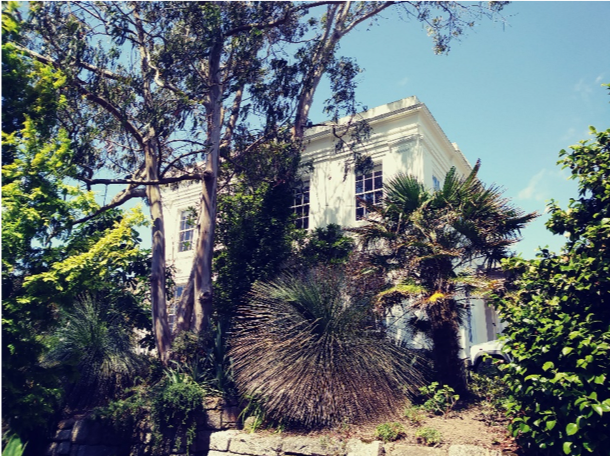 A Victorian mansion set in amazing subtropical public gardens (and, for once, with weather to match…), it has housed the library’s rich collection of books, photographs and manuscripts since 1888 when the building was acquired by the Corporation of Penzance. I was lucky enough to spend a day there reading through the Pennant correspondence, and listening in to one half of a conversation between two fascinating, obsessive, eighteenth-century scholars. (The replies from Borlase, which will have to wait for another time, are housed with much of the Pennant archive in Warwickshire Country Record Office). Pennant also relates how the ‘native Irish’ use ancient arrow heads (‘Elf-shots’) and ‘magical gems’ to prevent disease in cattle. Turning from material antiquities to anthropology, he suggests that the keening of the ‘Modern Hibernian Howlers’ which he witnessed at a funeral in Kerry might itself be a ‘relique of Paganism’. As the correspondence progresses, plant and animal life come more to the fore, although this does not stop the exchange of (and anxious enquiries after) carefully packed boxes of specimens, now arriving by a more efficient sea-route on tin-ships into St Ives. ‘Walking on our shore, picking up whatever had either oddity, or novelty, to recommend it’, Pennant finds and identifies sea sponges, shells and anemones, all minutely referenced and described. Borlase is also kept informed of the progress and set-backs involved in the publication of his British Zoology, and there is much discussion of the best way to accurately represent different species of birds. The identification of the ‘Soland Goose’ as the ‘Cornish Gannet’ is an especially satisfying moment, and there are further requests for specimens from the obliging Borlase: ‘Should any sure bird fall into your hands, I should be glad to have it well dried & preserved if of a moderate size in an oven; if large to be flayed and stuffed’. 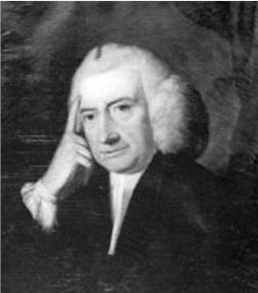 The final letter in the collection dates from 1761 and marks a new episode in Pennant’s life. Recently married to Elizabeth Falconer, and having already lost a baby boy the previous year, he writes with some relief of ‘the satisfaction of seeing Mrs Pennant safe in Bed; and of being Father to a fine Healthy Girl’. 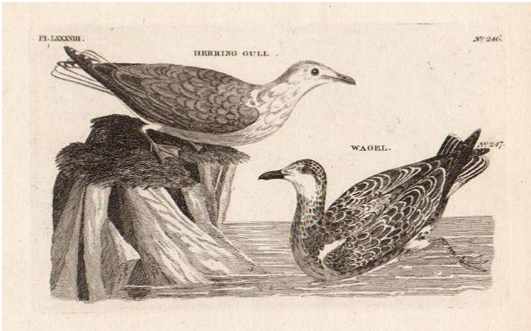 Fatherhood, however, has not dulled his passion for collecting: ‘you wld promote my design greatly’, he writes, ‘by procuring these Birds well preserved stuffed or dried, being not found on our coasts: Cornish Wagel, Tarrock, Curwillet or Towillee, Turnstone or Sea Dotrel, Petrel’. Whether the patient rector of Ludgvan managed to ‘procure’, stuff and parcel up a specimen for his friend is not revealed, but the Wagel did make an appearance in the pages of the British Zoology some years later. Many thanks to staff at the Morrab Library; to Nick and Ann Round for hospitality in Penzance, and to Oliver Padel and Isobel Harvey for their enthusiastic identification of Cornish sea-birds. This entry was posted in Research Blog on 21st July 2018 by Luca Guariento.